The release of Tencent Gaming Buddy is giving all of the Android gaming emulators a run for their money. Here’s our review of the official app that lets you play PUBG Mobile on PC the simple and easy way. The gaming industry stands today as the epitome of home entertainment, which has taken competitive form. From playing the Nintendo Cube in your living room to live-streaming DOTA tournaments, gamers have truly evolved. While the mainstream gaming platform keeps pushing the absolute limits, so is the mobile gaming industry. Growing rapidly year after year, mobile gaming has been supported by improving smartphone hardware. The greatest example of how a PC platform game has taken over the mobile gaming arena is PlayerUnknown’s Battleground. More familiarly known as PUBG to the regular world, this game from the newly introduced battle royale genre of games has been a viral sensation in the past year. In comparison to the PC version PlayerUnknown’s Battleground, PUBG Mobile is designed to be a lot more hands-on. This allows users to control their character easily, while the touch-responsive controls give you the real look and feel of a proper mobile game. However, if you’ve ever played PUBG on PC, you can vouch that the controls with a keyboard and a mouse are far for accurate. 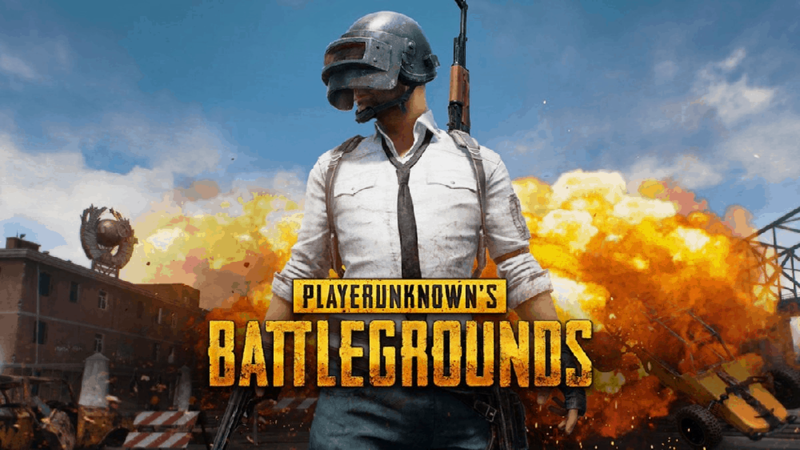 In order to get a leading edge over their opponents in the game, players began using emulators to play PUBG Mobile on PC. Even before the official release of the Tencent Gaming Buddy app, third-party Android emulators have been promoting the use of their service to play the fiery battle royale game online. However, the advantage that players get when using emulators makes the gameplay unfair in terms of competitiveness. This is why Tencent was quick to take action against players using PUBG Mobile on PC. The developers decided to terminate players using emulators mid-game and even penalize repeat offenders in order to keep the gameplay fair and controlled. The developers were able to find a way to bring PC-style gaming experience while still keeping the game fair. The release of Tencent Gaming Buddy has brought PC-style gaming controls with a proper mouse and keyboard. 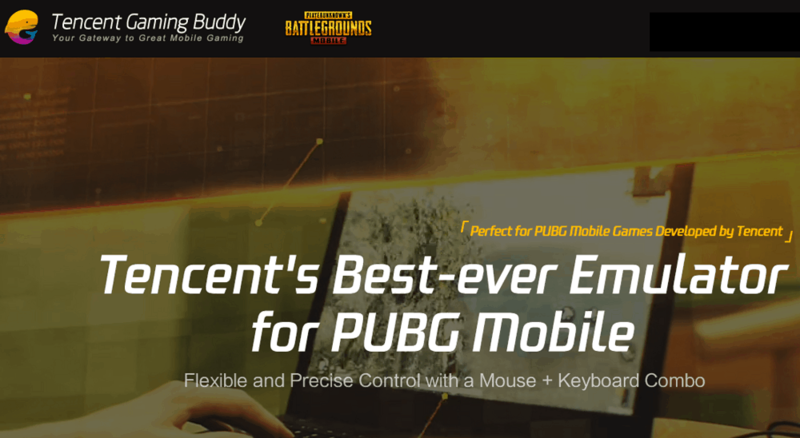 Designed to be the official emulator for PUBG Mobile on PC, the Tencent Gaming Buddy app brings the entire experience to the bigger screen. One of the main reasons that PUBG Mobile has been able to reach out farther than the PC version is the fact that the game is free to play. Tencent Gaming Buddy maintains the same narrative, making it a favorable choice for many who wish to enjoy a premium PC-style gaming experience. With millions of players trying to grab that “Chicken Dinner” each day, Tencent Gaming Buddy offers you a way to enjoy the heart-pounding action with real-time PC controls. Why Gaming Buddy over other emulators? Tencent started off by discouraging users from playing PUBG Mobile on PC with emulators in the beginning. The reason behind this is to level the playing field where the keyboard and mouse controls brought improved accuracy and performance to the PC users. However, Tencent Gaming Buddy solves this issue entirely by eliminating the broken link. When you play PUBG Mobile with the Tencent Gaming Buddy emulator, you get something more than just a PC-style experience. Each match that you play includes only players who themselves are playing PUBG Mobile on PC with the Gaming Buddy app. This ensures that the players have the equal amount of advantage in each and every game. While other Android emulators are able to run PUBG Mobile as well, there is always the risk of being penalized. Additionally, the official app for playing PUBG Mobile on PC makes Tencent Gaming Buddy far more superior than any other competitor. From having the game controls pre-mapped into the system, to enjoying maximum FPS during combat – Gaming Buddy is an easy pick every time. Third-party Android emulators are designed to run the entire Android environment virtually. However, Gaming Buddy app has been created just for running PUBG Mobile on computers, which makes it faster, lighter, and directly optimized to run just the one game. Head over to the official Tencent Gaming Buddy website and download the client for your computer. Hit the Download button and launch the installation file once it is ready. 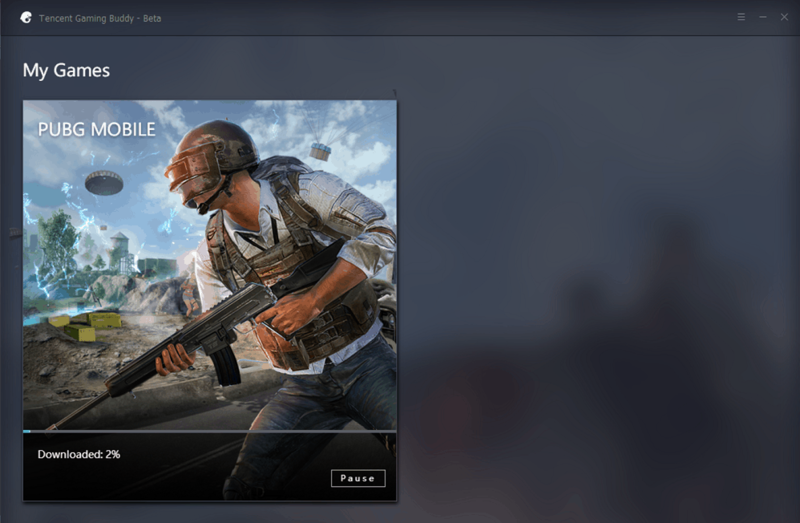 Follow the on-screen instructions and wait while the client downloads and install PUBG Mobile on your PC. Once the installation process is complete, you will be able to see the familiar PUBG Mobile screen in full resolution on your computer screen. The best part about PUBG Mobile on PC is the inclusion of Keyboard and Mouse controls which makes navigation effortless. While the client itself maps the keyboard keys to a default set, you can change each and every aspect of it. On the main screen window, click on the Keyboard icon. This will bring up KeyMapping Mode on the screen. Here you can customize each and every on-screen button of the game. Additionally, you can also choose the Gamepad menu and change the keys for the connected controller as well. While the game screen for PUBG Mobile on mobile devices and the emulator screen is exactly the same, the controls aren’t. While mapping the keyboard and mouse keys to best accommodate the trigger actions in the game, Tencent Gaming Buddy offers you a way to entirely remap each and every element of the control overlay. The general controls of the game with this official emulator are responsive at most times with high accuracy. The addition of support for customizable hot keys is sure to give you a leading edge when trying to take down your opponents. But there are instances in which the PUBG Mobile version simply does not live up to its original PC counterpart. Features such as using the scrolling wheel is simply not as accurate as it is on the official PC version. The fact that the frame rate is restricted to 30FPS on the Gaming Buddy makes it less than ideal for heavy gamers. But the fact that you get custom support for features such as the ability to manage the mouse sensitivity and even support for a gaming controller makes it all worthwhile. Another interesting feature about this official PUBG Mobile client for PC is the ability to fine-tune the performance of the game. The Settings menu of the Gaming Buddy client allows you to change the resolution of the screen based on your computer display capacity. Additionally, you can cherry-pick performance elements that can help you not only improve the gameplay on high-end devices, but also make the game playable on the most mediocre machines too. Although playing with a mouse and keyboard, PUBG Mobile on either PC or your smartphone are still the same game. But the biggest difference seems to be the type of players that you will come across on the different platforms. As mentioned before, Tencent keeps things fair by matching the players on the Gaming Buddy client with other players on the same platform. So if you are playing with a mouse and keyboard that give you a better responsive time and higher accuracy, expect the same from your opponents. This in turn advances the gaming experience entirely, which actually makes PUBG Mobile more competitive on Gaming Buddy than it is on your regular smartphone. 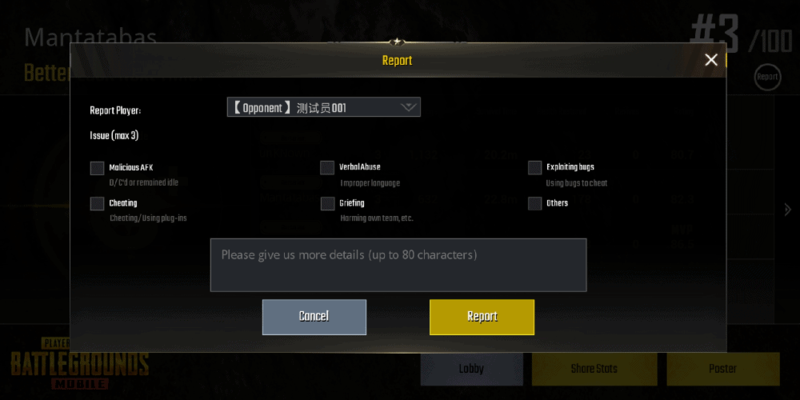 A significant disadvantage that seems to be plaguing the growing PUBG Mobile for PC community is hacking. The openness of the PC platform allows hackers to tinker with the program files to get an unfair advantage. This hasn’t gone unnoticed by Tencent and the company is working to fix the problem by banning offenders. Tencent is coming after users attempting to modify the game files and saved data, or trying to gain unfair advantage. These malicious activities include reducing the recoil from firing, acceleration for faster commute, auto aiming hack and more. Since the PUBG Mobile version is plagued with similar issues, this does put the Gaming Buddy version of the game on equal footing. Finally, the largest and probably the most disappointing issue seems to be the non-availability of Google Play Games support. If you have your PUBG Mobile game synced with the service, you won’t be able to use the same account with the Gaming Buddy. Keep in mind that the PUBG Mobile emulator is still in beta, so you can expect the feature to be rolled out in the future. The growing craze for mobile gaming may not be waning any time soon, but it doesn’t eclipse mainstream gaming. Thanks to the bridge between the two worlds, enjoying good quality games such as PlayerUnknown’s Battlegrounds on different platforms. When it comes to playing PUBG Mobile on PC, we can guarantee that Tencent Gaming Buddy offers the best experience. The is quite the competition in the zone of Android gaming emulators from names like Nox App and BlueStacks. But after reviewing the most popular emulators for gaming and comparing them for PUBG Mobile, Gaming Buddy comes out on the top based on performance and execution. The client also ranked high among others, thanks to the official software support from the company and highly customizable gameplay controls and display settings. Are you ready to take your premium battle royale gaming experience to the big screen with Tencent Gaming Buddy already? Do you feel the entire concept of free-to-play portable battle royale gaming is lost when PUBG Mobile is taken to the big screen? Don’t shy away from speaking your mind, we’d love to hear more from you in the comments section below.